Kathi Nelson | Montgomery Alabama Real Estate - Search Over 3,000 MLS Homes for Sale or Rent in Prattville, Millbrook, Wetumpka & Montgomery, Alabama. Kathi is a real "Southern Girl". She was born in Savannah, Georgia and moved to Prattville, Alabama in 1967. She and her husband have raised 2 great children in the Prattville school system and are active members of the First United Methodist Church in Prattville. 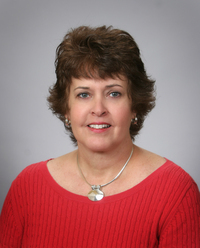 Kathi has worked in the administrative field for over 17 years and joined our team in 2003. She provides administrative support to the entire Southern Star Team!